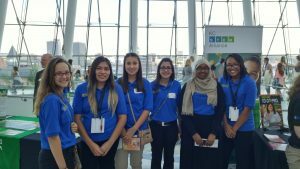 On July 19, 2016 KC HealthTrack Students were amazed and inspired during the Bishop-McCann sponsored Chat Series 2.0. The event was held at the beautiful Muriel Kauffman Theatre in downtown Kansas City, Missouri. 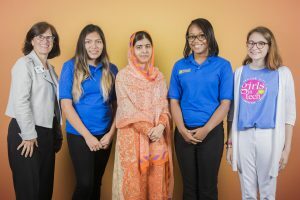 It was at this event where young 19 year old Malala Yousafzai, student, and Nobel Peace Prize Laureate, spoke about her life experiences and the importance of education. Also featured was Malala’s father, Ziauddin Yousafzai, teacher, and Education Advocate, who also gave an outstanding motivational presentation. What an outstanding night! 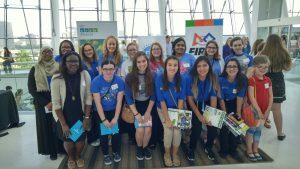 Students had the opportunity to hear the inspirational presentations and were in awe after the event. 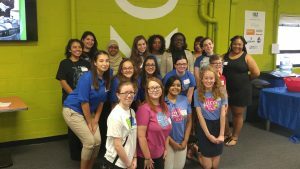 Nine young ladies from KC HealthTracks attended the event, and two of them were given a special opportunity to interact with Malala in a private roundtable. A special note of “Thanks” to Bishop -McCann, the award winning agency that produces meetings, incentives, and event worldwide. They were very instrumental and supportive of our students by providing the opportunity to attend such a prestigious event. 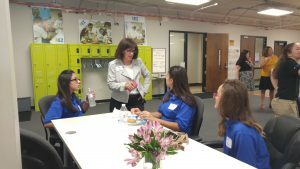 Thanks to KC STEM Alliance Director Martha McCabe and staff for their hard work . Before the event, students were welcomed and took part of a social networking event including a grand dinner buffet, transportation to and from the event, and free admission tickets to the Malala event.